With this shocking application of the fundamental group it is demonstrated that clipping two carabinders together can have an unexpected effect. Here one can play games like chess or tic-tac-toe on closed surfaces like the Klein bottle. 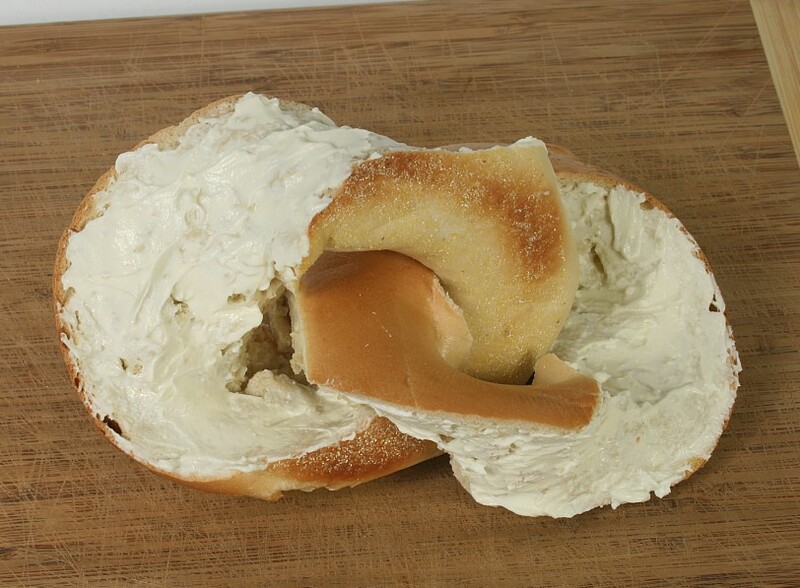 It is shown how to slice a bagel into two linked halves. 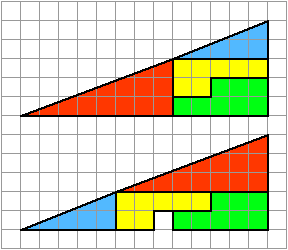 The picture shows a proof that 31.5 = 32.5. 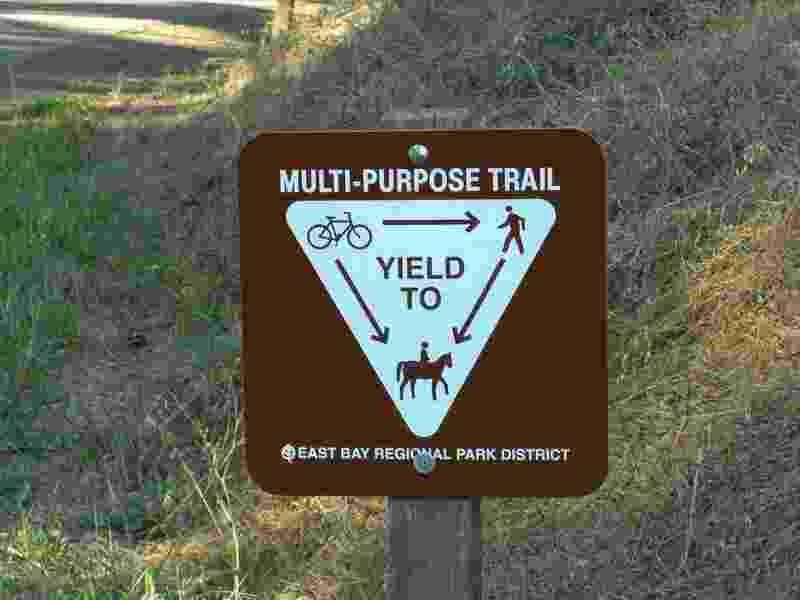 Below is a picture of a commutative diagram that I have found on a hiking trail near Berkeley.